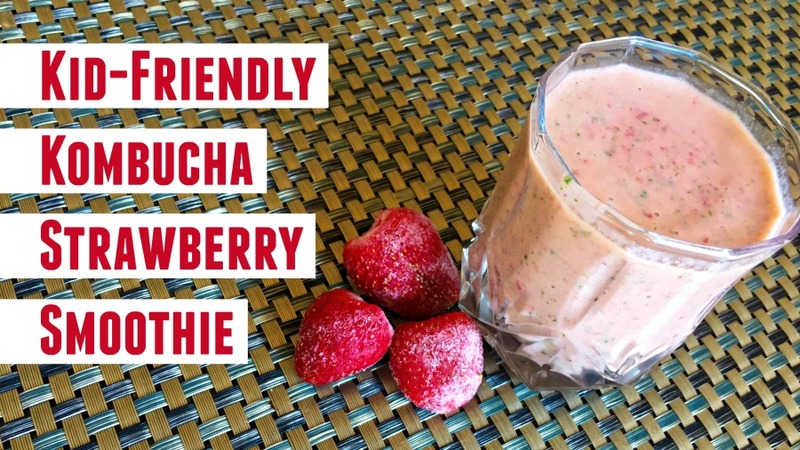 These kid-friendly kombucha strawberry smoothies will blow your kids' minds! They are super healthy and are almost a meal unto themselves. With the fresh spinach, chia, and fruit, your kids will get a ton of nutrients without even knowing it. I recommend buying bottled pasteurized kombucha with chia already added. This way you know it's safe and all you have to do is dump it in the blender! Ingredients and tutorial video are listed below. The amount you will need is based on how many smoothies you will be making.